great idea ... 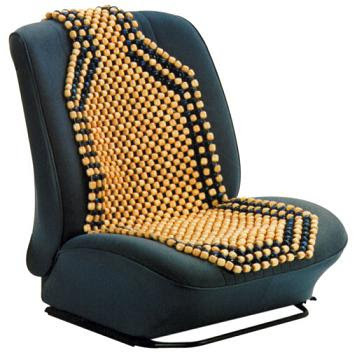 I just bought an old ford truck that had one of these bead seats and now it's just sitting w/ other "junk" my family keeps wanting me to throw away.i see how they use beads when hair is already started to lock, but what about when still regular hair like mine? make sections, then thread bead thru to the top? Or wire / thread it into hair in middle or end of section? ideas??? thanks! do you make a slurry with baking soda/salt combo or sprinkle on straight? I don't understand the bead situation ... section the hair & somehow attach beads at the base of the section (scalp) or along the length of the section. I'm not african (except at heart) & hair is a little over 12" long when stretched out. PS ... thank you for this great site. I know alot of people are getting THE BEST advice here on the web or in salons or in bookstores or goop shops. it's the real McCoy for the real thing. You spend alot of time & give thoughtful answers & comments. some people don't stop to say THANK YOU enough, so I'm barging in here, & saying that I really appreciate the conversations and especially I appreciate how much time & energy spent out. But it's good spirit vibe energy, so what comes around goes around! jolly good job ole chap. Dear Chief Soaring Eagle: I hope you can help with this. As Rastafari, I don't comb or cut hair. But, the problem is that I have shoulder-length, wavy but oily-type hair. After 6 months now, not a sign of knot or dread. Just wavy (starting to be ringlets, the longer it gets). I read a post about wrapping. I wonder if I wrapped my curls in wool cloth, maybe that will help, but I don't know how to do it ... any ideas or help on this? I'm a middle age sort-of white sistah. You posted some great info, but I the only thing that I saw that might work is the wrap method. I don't use conditioner, only bar soap (locally produced milk soap from a great family dairy farm). I thought if I put it in round braids that might help, but after an hour at the salon & $20 later, the braids came out. I don't have a job or anything babylon-related as far as needing a polished look. Too busy for too much hair stuff.I wrap it in scarf, do you think a wool knit scarf might help the natty knots knot up? Do you think it possible to get the locks to wave along with the natural wavy hair rather than getting straight. I'm thinking since it's natural wavy it's best to stick with that if such a thing as wavy or twisty dread. I'm not too familiar with inperson great natural dreads. everyone all fancied up & nobody Rastafari. just fashion. I'm Rastafari, dreads or no, but I go by what Bob says when I can. Thank you for your help. I love your site. the book idea is outstanding & I wouldn't change a thing with your style, grammar, spelling, etc. "you gotta be you ..."
~ In Bob We Trust, yeah mon. /s/ Ba Marley, International Diplomat, Representative of His Imperial Majesty Haile Selassi I the First Rastafari! irie.ites.